Chelsea: Courtois; Ivanovic, Zouma, Terry (c), Azpilicueta; Mikel, Fabregas; Willian, Oscar, Pedro; Diego Costa. 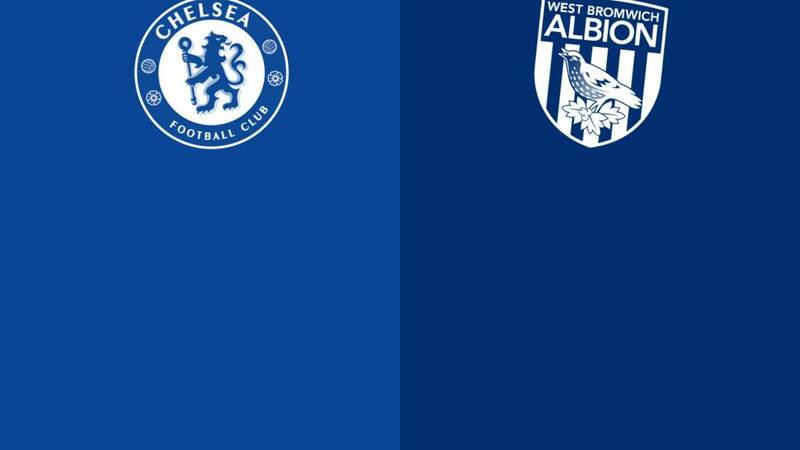 WBA: Myhill; Olsson, Yacob, Evans, Morrison, Brunt, McClean, McAuley, Fletcher, Dawson, Rondon. Diego Costa has to be separated from a mob of West Brom players at the final whistle as he wags his finger in their collective faces as part of a post-match lecture. Plenty of reaction to come on this one. Head over to the Wednesday football live text to get the best of the reaction. Diego Costa goes down in a heap on the edge of the box. All eyes on referee Anthony Taylor. No dice for the hosts. There will be five minutes added on. Is there a winner in here somewhere? Jaws on the floor around Stamford Bridge. Yet again their defence has been found wanting. No-one takes command of the situation as the ball pin-balls around their box and James McClean wraps his left peg around to find the bottom corner. Kenedy is invited to have a pop as the West Brom defence stand off him 25 yards out. And he eagerly takes up the offer, rifling a low shot just wide into the hoardings behind Boaz Myhill's goal. This feels like a done deal. The wind has gone out of West Brom. Cesc Fabregas - jeered in the immediate aftermath of Jose Mourinho's departure - departs to a standing ovation. Nemanja Matic - sporting his own face mask - is on in his place. Diego Costa still bristling with aggression and danger, sees a piledriver of a shot turned away by Boaz Myhill. That one will have left the West Brom goalkeeper's palms stinging. That familiar Cheshire Cat grin spreads across the face of Chelsea owner Roman Abramovich. His side finally click in attack as Willian whips a low cross into the near post where Kenedy, fresh off the bench, is arriving at speed. Gareth McAuley lunges in to try and block, but inadvertently turns it in off his knee. Less than 20 minutes to go and the Blues could do with hunting down this winner sharpish. Three bookings in the space of a couple of minutes. West Brom goalkeeper Boaz Myhill has his name taken as he wastes time over a goal-kick before Chelsea counterpart Thibaut Courtois and James McClean have their names taken for a bit of push and shove silliness. Stephane Sessegnon is on for Salomon Rondon. Saido Berahino has the stage to himself up front for West Brom. Things don't exactly look cordial between James McClean and Saido Berahino. The West Brom pair have a public disagreement as Berahino's shot thumps into McClean when the Irishman wanted a subtle, slipped throughball. Diego Costa is either going to score the winner or get sent off. Something is going to happen to him. The Spaniard is buzzing around like he has necked a quadruple espresso, crashing a rising shot into the wrong side of the side netting from a tight angle. Claudio Yacob is saved from himself as Tony Pulis subs him off. Saido Berahino is thrown on. Maybe his pace can further unsettle the unsteady John Terry. Darren Fletcher will slot back into defensive midfield. Willian clumps the resulting free-kick over the top as he attempts to exact his own punishment for Claudio Yacob's foul. Claudio Yacob has got away with one here. Chasing back after a Chelsea counter attack, the West Brom man has a tug and trip at Diego Costa as the Blues striker breezes past him. They both tumble. Chelsea want a second yellow. Anthony Taylor holds fire once again. Diego Costa is the epicentre of some very stormy scenes up in the West Brom box. The Chelsea man has just had a cheap-shot nibble at Boaz Myhill, pushing the West Brom goalkeeper as he collected a cross. An absolute dead-head of a foul and he is lucky that the referee rightly ignores West Brom's appeals for a second yellow card. This Chelsea defence is still suspect. Salomon Rondon is allowed too much space from a simple throw-in and is able to slap a volley across the face of goal. He does not catch it clean, but the ball sits up nicely on the bounce for James McClean and Thibaut Courtois is grateful that his nod is straight into his gloves.